This color is called 'sunshine honey', because each ring looks like it has captured a ray of sunshine. They are high contrast, with color variations from light to dark honey and black, and streaks of light honey, olive, chestnut, slate or gold. The color families identify the colors as accurately as possible. The differences between some color families are just nuances, allowing you to choose between a darker or a lighter shade of a particular color. The families overlap, for instance the darkest light honey can be very similar to the lightest regular honey and so on. Dear Joanne, yes it is. If you click on the arrow of the Grande order button, you'll see it in third position on the menu. Hi Maitai! It's Sherry here. I've purchased several items from you and love all. 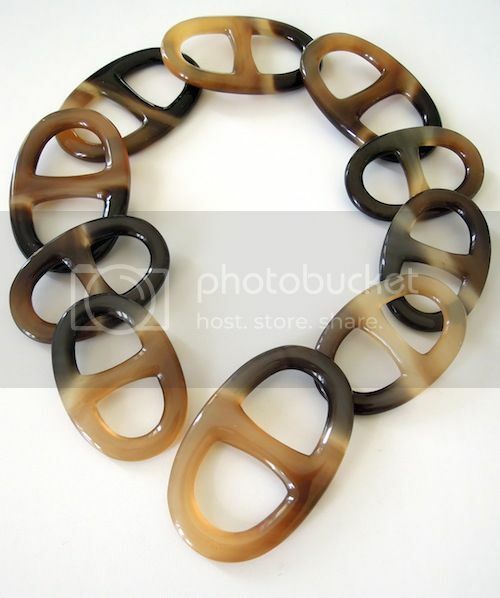 When will you have the dark mother of pearl Grande size rings back in stock? I have a black shawl ring in my shopping basket and I dont' wish to check out until I know if I should check out of wait a few days? or will it be longer? Thanks so much! I also want to tell you how much I love your blog. It really adds so much to my day and I feel like I am better dressed thanks to you!!! Hi Sherry, Many thanks for the lovely note, so happy you enjoy the posts, and your items from the collection. 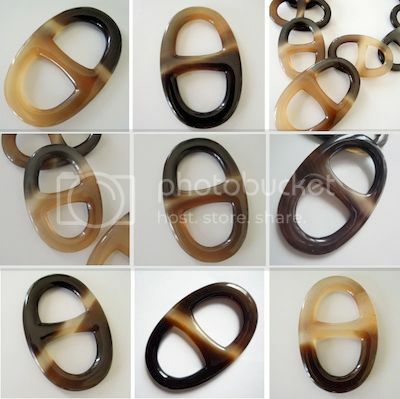 Re the dark Mother of Pearl, there is no telling at the moment, we are experiencing difficulties in sourcing raw material in the required quality. There is no way to predict how long the wait will be, and I'd rather wait longer and get the quality I need. If you forward your email address to maitaicollection@orange.fr, I can drop you an email once they are back. Many thanks! 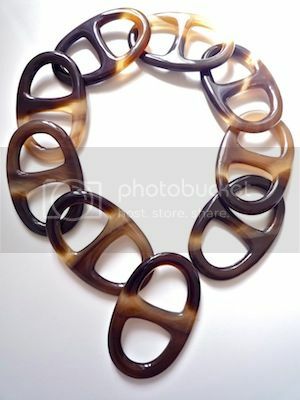 Dear Mai Tai, I've received the grande scarf ring in honey sunshine. She's perfect. Thank you. Dear MaiTai, my package with 2 scraf rings arrived so super fast! Many thanks for this great customer service! 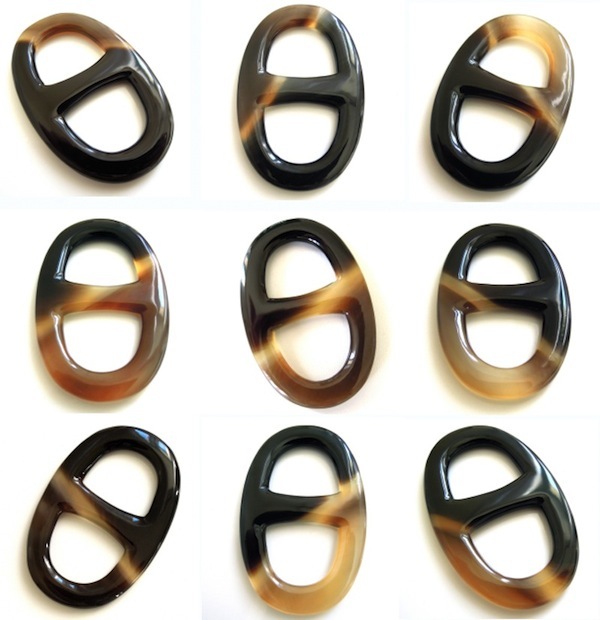 Where can I find a pic of the shawl ring: translucent? I am not able to find this color, but interested in the look. Dear Nadia, so pleased your scarf rings arrived quickly, especially since the order and shipping confirmations emails all bounced back.. :-) Will make sure to select a symmetrical, light sunshine shawl ring for your new order. A very happy New Year 2013 to you too! I agree with Laura in Alaska!! LOVE the MoP rings, have them in petit and grande. Gave a few of your rings as a gift to my BFF. She sends me pics of her gorgeous scarves with those lovely rings! Thanks for a beautiful product. I have a Hermès Chain d'Ancre ring, but always pass it up in favor of your rings. Lovely organic materials, beautifully crafted. Is honey sunshine in Moyenne available? The sunshine honey Moyenne scarf rings will be back in stock in about two weeks time. Thank you, ST. Yes, the Grande should be back around this time too. I hope you are having wonderful time to celebrate your birthday. Thank you for giving me a good advice to try drape knot for summer. Since I have only one grande size scarf ring(Sunshine honey), I would like to place an order for a Sunshine honey scarf ring in Grand size. When will it be available?